New York Times bestselling author Joseph Finder's timely, electrifying new thriller about a simple mix-up that throws one innocent man into the crosshairs of sinister government secrets and ruthless political ambitions. Michael Tanner picks up the wrong MacBook in an airport security line, a mistake he doesn't notice until he arrives home in Boston. Tanner's curiosity gets the better of him, and he discovers that the owner is a US senator and that the laptop contains top secret files. When Senator Susan Robbins realizes the mix-up, she calls her chief of staff, Will Abbott, in a panic. Both know that the senator broke the law by uploading classified documents onto her personal computer. Hoping to avoid Snowden 2.0, Will attempts to gain Tanner's cooperation and recover the laptop. When Will fails, he turns to an unscrupulous "fixer" for help. Meanwhile, the security agency whose files the senator has appropriated has its own, darker methods--and suddenly Tanner finds himself a hunted man, on the run, terrified for the safety of his family, in desperate need of a plan, and able to trust no one. 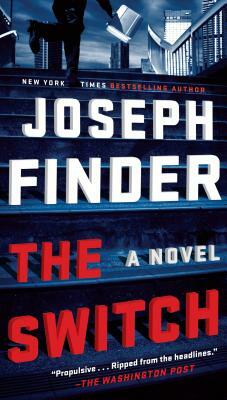 JOSEPH FINDER is the New York Times bestselling author of thirteen previous novels, including Guilty Minds, The Fixer, Suspicion, Vanished, and Buried Secrets. Finder's international bestseller Killer Instinct won the International Thriller Writers' Thriller Award for Best Novel of 2006. Other bestselling titles include Paranoia and High Crimes, which both became major motion pictures. He lives in Boston.